Follows a mysterious murder that connects the destinies of the protagonists and changes their beliefs about the concept of truth. A man who works in a pharmacy as a part time job to aid his financial status finds out that his father has been exterminated by a savage brute and sought to avenge him, then unlocks a whole melancholic world of crime! 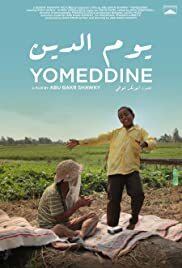 This movie may be one of the best Non action movies in Egypt's history . A tearjerker yet a bit funny . Tackles the extreme issues of Egypt .